Team Astra is in hope to develop a potential business relation with you and your esteemed company in welcoming year 2018. We wish you a great year ahead. 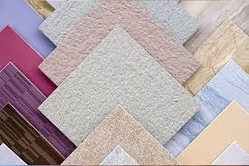 Astra Ceramics (Tiles & Sanitary ware) one of the leading Exporters from India in construction and building material. Brand Astra also offer a wide range collection of Wall Tiles, Floor Tiles, Step riser and Sanitary ware Products. We are headquartered in India, having setup in Mundra port, Morbi, Gujarat, world's 2nd largest producers of Ceramic products.